Wallpaper is taking off in a huge way and now there are more designs than ever to choose from. 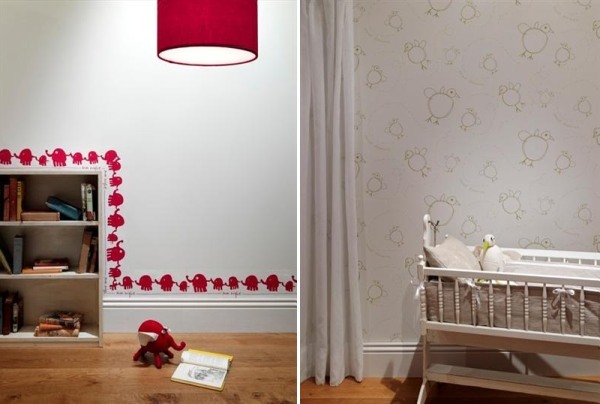 Get ready for beautiful elephants, monkeys and swirls to adorn the walls of nurseries all over Australia. Babyology fave Bholu has teamed up with Porter’s Paints to release a range of stunning wallpapers suited perfectly to nurseries and children’s rooms. You may know from our past articles about Bholu that production methods support needy communities – eight schools have already been built by Bholu. Indeed the designs themselves are inspired by the drawings of children in India and incorporate textures found in textiles from that region. 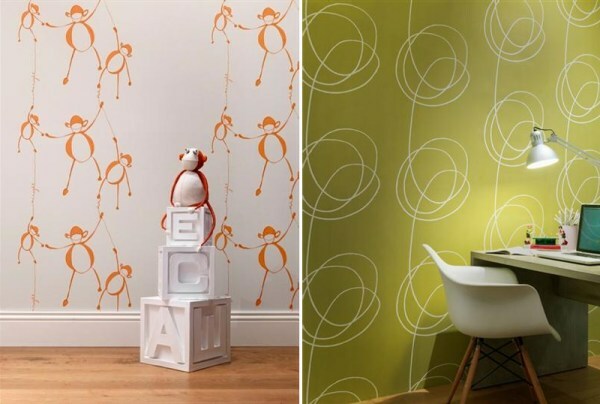 A percentage of sales from the wallpaper range goes to the ‘Bholu Anganwadi Project’. The collection will be officially unveiled on February 17 so be sure to sign up for the Bholu newsletter for updates as more details are released. Support this amazing Fair Trade and Climate Neutral company!